If you’ve ever faced a dangerous situation on the slopes, you know a swift response is vital. 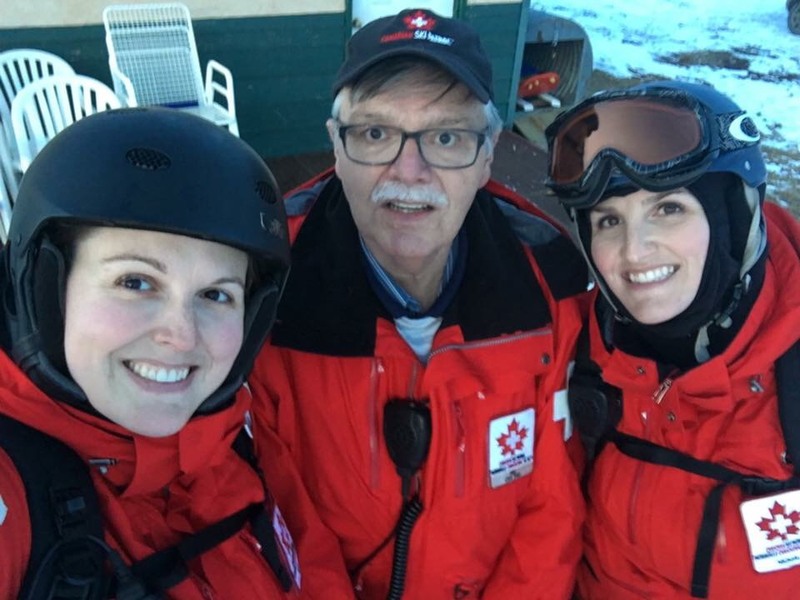 Whether it’s hypothermia, frostbite, head injuries or snow immersion amongst many dangers, the Canadian Ski Patrol is there. Sometimes, the CSP even saves lives off the slopes. Sid Gaudry and his family have been a part of the CSP for two generations. Sid met his wife when they were both volunteer CSP patrollers in Fort Qu’Appelle, Saskatchewan. Eventually, both their daughters Jacqueline and Nichole would also sign up for the CSP. Little did the family know that one day, all the volunteer CPR and first aid training would save Sid’s life. Sitting down to brunch at a family restaurant with his wife, and daughters’ families including 6 grandchildren, Sid began seizing. In an instant, Nichole and Jacqueline used their CSP training to administer CPR, retrieve a nearby defibrillator, and stabilize their father before emergency services arrived. Today, the CSP has expanded our CPR and first aid training to other sporting organizations. Most donors, like you, know us for saving lives on the slopes, but we’re also increasing safety on sporting pitches, ice rinks, and wherever sporting risk exists. A rapid response is the difference between life and death. “The Canadian Ski Patrol training is extensive, time consuming and expensive. But it needs to be, because when a crisis happens, and someone is hurt, patrollers don’t have time to think about it, they just need to act and know what to do,” says Sid. 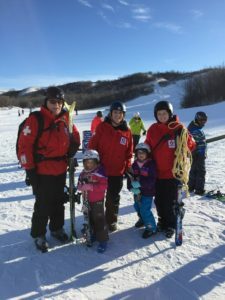 The CSP also continues to be the helping hand that keeps growing downhill skiing across Canada as Jacqueline reflects on her own experience as a volunteer. “We often are the ones helping new skiers on the hill find the right runs for them as well as helping kids with equipment malfunctions or who’ve become separated from their parents. The accident prevention work we do on the hill makes skiing safer for everyone,” says Jacqueline. Your gifts have reduced sports’ injuries and saved the lives of so many including Sid. Diagnosed with a brain tumour, Sid got treatment and continues to recover. You can help save lives. You can be the difference. Please continue to support the CSP so that volunteers receive the full training that makes our slopes and communities safer for you, your loved ones, and the little ones who are just starting on the lifetime path to a sport we all cherish deep in our hearts. PS—Your gift has helped hundreds of families. They were able to celebrate more holidays together. You are a lifesaver. This entry was posted in November 2018. Bookmark the permalink.